From the migrant labor fields to Broadway, Luis Valdez remains true to his original vision – performance that addresses the Chicano experience in America in a context meaningful to all Americans. Valdez’s credits include, founder & artistic director of the internationally renowned El Teatro Campesino, council member of the National Endowment of the Arts, and founding member of the California Arts Council. He continues to work and mentor a new generation of theatre artists at El Teatro Campesino Playhouse in San Juan Bautista, California. 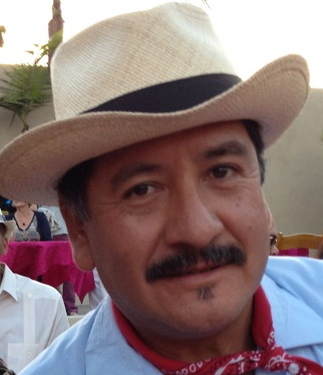 A native of Xalapa, Veracruz, Mexico, Betto Arcos is an independent radio producer and host of KPFK’s world music show “Global Village”, a daily program he created as music director in 1997. Betto is a freelance reporter for PRI-BBC’s The World and NPR. Since November 2009, he’s a regular contributor to NPR’s Weekend All Things Considered reviewing Latin and world music. A Fullbright scholar from Argentina, María Elena de las Carreras has a Ph.D. in Film Studies from UCLA, with a dissertation of Argentine cinema and politics. She is a regular collaborator of the Latin American Cinemateca of Los Angeles and the CSUN Cinematheque. Since 2008, she is a screener of international documentaries for the Sundance Film Festival. She is an accredited journalist at the Berlin Film Festival since 1986. She has published many journalistic articles and scholarly essays, in English and Spanish. She is a visiting professor at UCLA, Cal State Northridge and Los Angeles City College. 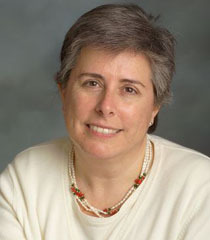 Veronica Cortinez, associate professor, joined the UCLA department of Spanish and Portuguese in 1989, after earning her Ph.D. from Harvard. Since then, she has compiled a superb record teaching at both the undergraduate and graduate levels. Specializing in colonial and contemporary Spanish American literature, Cortinez consistently receives high scores while maintaining a reputation as an innovative, challenging instructor. Born and raised in Mexico City, Dr. Feldman earned a Masters of Fine Arts degree from the California Institute of the Arts. He later earned his Ph.D. from UCLA. His catalog of work includes music for chamber and symphonic groups as well as compositions involving the use of computers to combine and process electronic and acoustic sounds. In 2009 he created a musical score/soundtrack for the 1927 Mexican silent film, El tren fantasma. This project was commissioned by the LACLA for presentation at the Grand Performances at California Plaza summer festival. Distinguished film scholar and Brazil expert, Randal Johnson has been named interim Vice Provost for International Studies at UCLA starting July 1, 2010. An experienced administrator, he has also been chair of both the Department of Spanish and Portuguese and the Program on Brazil at UCLA, as well as Faculty Director of the UC-wide Education Abroad Program Study Center in Brazil.Johnson’s scholarly expertise focuses primarily on the study of Brazilian film and literature. He is the author or editor of eight books and dozens of research articles. Johnson’s research has been supported by several foundations including the National Endowment for the Humanities. Josh Kun is Associate Professor of Communication and Journalism at the USC Annenberg School for Communication. His work focuses on the arts and politics of cultural connection, the cultures of globalization and the US-Mexico border. 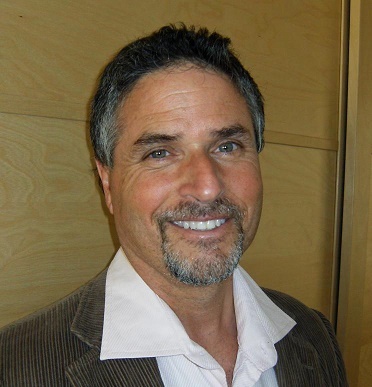 He holds a PhD in Ethnic Studies from UC Berkeley and is a former fellow of the Ucross Foundation and the Mesa Refuge. His book, Audiotopia: Music, Race and America (UC Press) won a 2006 American Book Award. As a critic and journalist, Kun is a regular contributor to the New York Times, the Los Angeles Times, and Los Angeles Magazine. Rose Portillo is an actress, writer and visual artist. She is the Associate Director of About Productions, the L.A.-based theater company, which creates original interdisciplinary programs that provoke new perspectives on history and humanity. She has co-authored several critically acclaimed plays and written her solo piece, Know Your Place. Her numerous TV credits and films include “…and the earth did not swallow him” and Zoot Suit. Her role in Carlos Avila’s Fotonovelas for PBS earned her an Alma awarded from the National Council of La Raza. Since 1997, Patricia Murray has led Business Credit’s loan organizations team in California. Prior to joining Wells Fargo, she spent 15 years with FINOVA in several positions, including managing director of its Mexican subsidiary, portfolio manager covering Latin America and national credit manager for several lines of business. Murray is actively involved in the Commercial Finance Association, the Turnaround Management Association, and the Association for Corporate Growth. A native of Mexico City, Murray received her bachelor’s degree from the Institute of Anthropology and History in Mexico City. She has also completed the Executive Management Program at the University of Arizona.